e adore tap dance (one of our favorite numbers in the Christmas Spectacular is a nearly 6-minute tap routine that guides the audience through the “12 Days of Christmas”). So if you’ve ever taken a tap class, you know that the ways tap dancers learn, train and entertain are different from any other dance form. 1. Judging every floor by whether or not you can tap on it. Tap dancers don’t enter a room without sizing up the flooring, its sound quality and slip factor. Don’t be surprised if you find us testing our theories and trying out our tap steps when no one’s looking! 2. Are we musicians or dancers? Tap dancers are both dancers and musicians but, as a result, sometimes don’t feel like we quite fit in with either group. Hey, we’ll always have each other. 3. Finding muscles in your lower leg you didn’t even know you had. All those hours of tapping, toe-lifting and heel-raising leave tap dancers with some of the fittest shins and the most shapely calves you’re likely to see anywhere. 4. Self-inflicted ankle bruises. Go ahead, ask us where we got that ugly bruise on our ankle. You heard correctly, the wound is from striking (or stepping on) that ankle with our other heel. 5. Two words: loose screw. The guy who came up with that expression about having a few screws loose must have been a tap dancer because nothing will drive you crazier than a loose screw in your tap shoe. 6. Nightmares about leaving your tap shoes at home. What’s a tap routine with no tap shoes? 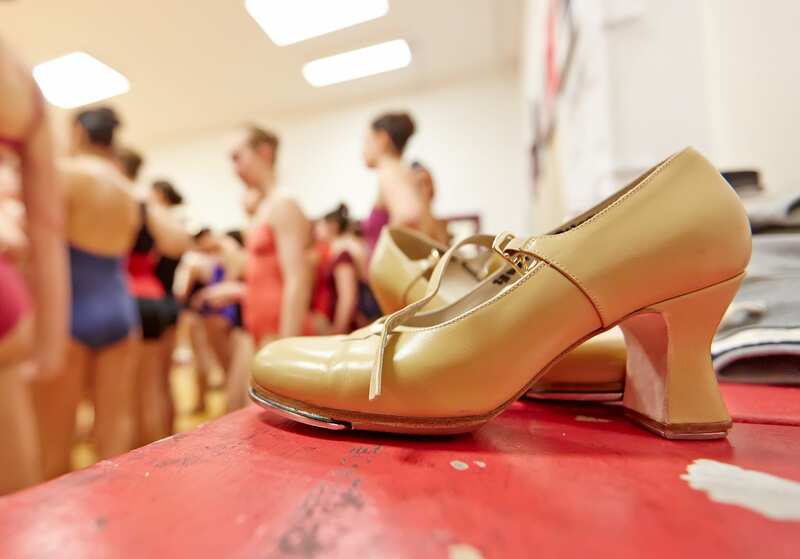 Arriving at the studio or performance without them is every tap dancer’s greatest fear (eek!). 7. Look, I’m tap dancing too! Why yes, that one-time step you learned in grade school and the flip-flopping you’re doing with your feet right now is very impressive … said no tap dancer ever. Audition now through February 3!